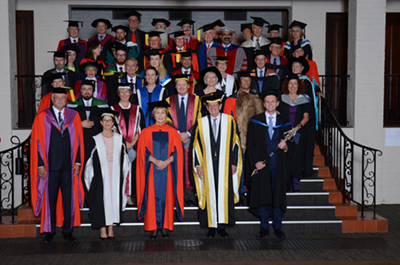 The Honourable Robert French AC has been formally installed as the 15th Chancellor of UWA at a Winthrop Hall ceremony attended by more than 400 guests including the Governor of Western Australia, Her Excellency the Honourable Kerry Sanderson AC. 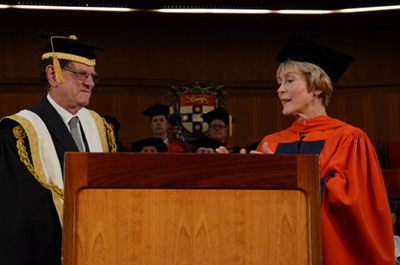 As he was presented with regalia formally symbolising his appointment to steward one of the country’s leading universities, Dr French said he was ‘honoured and delighted to have been appointed Chancellor of this great Australian University’. 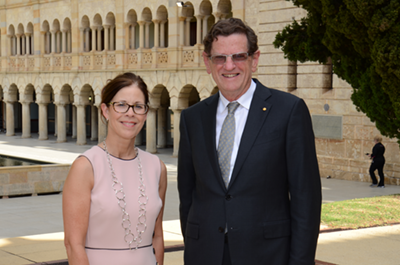 Vice-Chancellor Professor Dawn Freshwater said UWA is fortunate to have an experienced leader of international renown in Dr French. “On behalf of the entire UWA community, it is an honour to welcome our new Chancellor,” she said. Dr French is a firm believer in the value of a quality education and fostering a learning environment which encourages critical thinking and inclusion; which exemplifies the University’s values. Dr French was the twelfth Chief Justice of the High Court of Australia, and the first Western Australian to head the highest court in Australia. He is a graduate of UWA with a Bachelor of Science in Physics in 1968 followed by a Bachelor of Laws in 1971. He received an Honorary Doctorate from the University in 2011. As an undergraduate, Dr French led an active student life. He was President of the University’s Liberal Club, served as Treasurer of the UWA Student Guild in 1970 and was elected by the student body as a member of the University’s governing body – the Senate. He also served as the first Chancellor of Edith Cowan University from its foundation in 1991 until 1997. 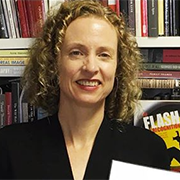 Dr French has been an active advocate for the rights of Indigenous Australians. In the early 1970s, he helped found the WA Aboriginal Legal Service and was its Chairman from 1973 to 1975. He was President of the National Native Title Tribunal from 1994 to 1998. Outgoing Chancellor Dr Chaney said that as Chief Justice of the High Court Dr French presided over many landmark judgements, ‘gaining a reputation as a fierce defender of the court’s independence and its important place in the governance of our nation’. 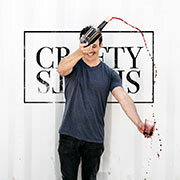 “A self-confessed science fiction fan, he also became known during this time for his use of popular culture, referencing The Hitchhiker’s Guide to the Galaxy and The Simpsons among other things – to make a legal point, a trait which endeared him to many,” Dr Chaney said.